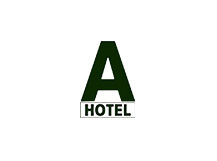 A Hotel Budget offers accommodations in Chiang Saen. Guests can enjoy the on-site bar. Free private parking is available on site. All rooms come with a flat-screen TV. Every room has a private bathroom. Extras include bathrobes and slippers. You will find a 24-hour front desk at the property. Free use of bicycles is available at this hotel and the area is popular for biking. Chiang Rai is 48.3 km from A Hotel Budget, and Mae Sai is 29 km from the property. Chiang Rai Airport is 40.2 km away.